For the second year in a row, UCF will be taking on an SEC team in one of the biggest bowls in the nation. The Knights will face off against the LSU Tigers in the Fiesta Bowl on Jan. 1. No. 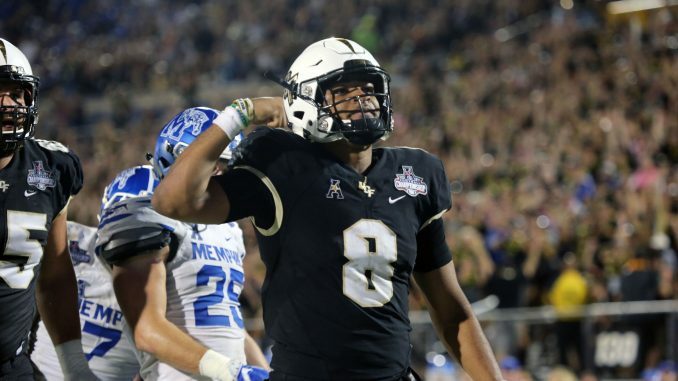 8 UCF will be looking to cap off its second straight undefeated season, and would finish 13-0 with a victory over No. 11 LSU. The Tigers will be playing for their first 10-win season since 2013. UCF has played in the Fiesta Bowl previously, when it was led by Blake Bortles in 2013. Despite being major underdogs, the Knights knocked off Baylor to finish 12-1 that season. UCF is also one of just 10 programs to play in three New Year’s Six Bowls in the last six years.